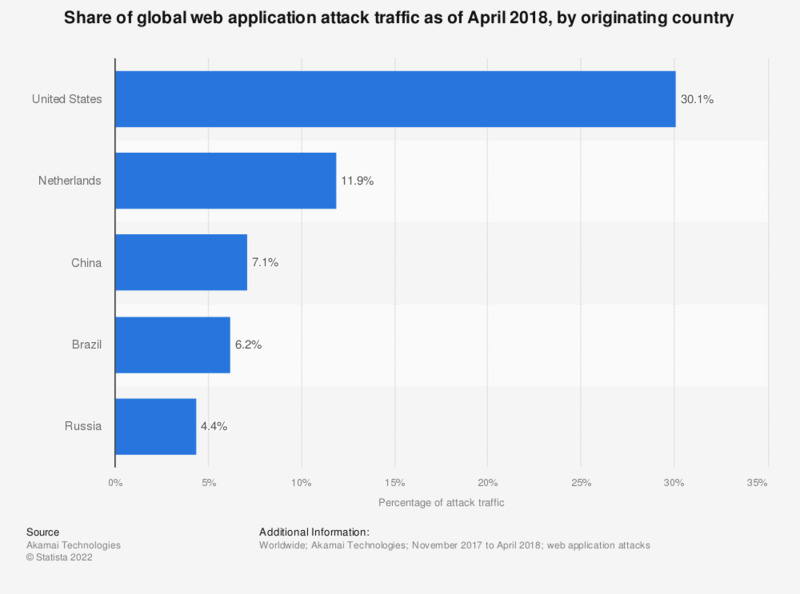 The statistic shows the percentage of worldwide internet application attack traffic between November 2017 and April 2018, by originating countries. During that period of time, 30.1 percent of web app attack traffic originated from IP addresses in the United States. The United States were also the country most targeted by web attacks, suffering from over 238.6 million attacks during the fourth quarter of 2017. In 2017, the average costs of cyber crime in the United States amounted to 21.22 million U.S. dollars, the most costly worldwide. By source IP address, not attribution. Values may not add up to 100 percent due to rounding.